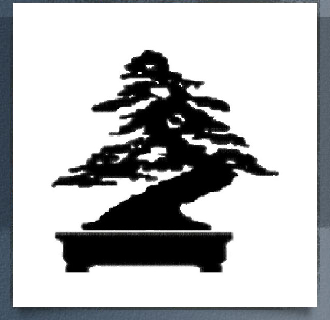 The Indianapolis Bonsai Club was founded in 1968 to promote interest in and appreciation of bonsai. However, It's inception really dates to the spring of 1965, when Bev Oliver set up a Bonsai booth at the Indianapolis Flower and Patio Show. Having been transferred from the Cleveland area, where she had been exposed to the Cleveland Bonsai Society, she was determined to find others in the area that were interested in Bonsai. To advance appreciation of Bonsai, their values, their meanings, and their limitations. To create interest in and inspire participation by both advanced and beginner growers of bonsai, and to increase enjoyment of Bonsai. To supply aesthetic, business, and scientific information on Bonsai, including methods, sources, and accessories. To provide communication among Bonsai lovers, creators, growers, and vendors; to acquaint each with the activities of others, to advise everyone of new things and developments of interest, and to describe opportunities and experiences wherever they may be applicable. To affiliate with Bonsai Clubs International (BCI) and to abide by their requirements. Plans were made to notify persons sincerely interested in Bonsai of the first meeting to be held at Betty Peirce's home, January 25, 1968. Programs were discussed and meetings arbitrarily scheduled for the months of March, April, May, June, September, and October. Places and dates were to be set after discussion by members. A fee of $10 per member was established by the board, included in which was a year's subscription to Bonsai magazine, published by Bonsai Clubs International. Guests were permitted to attend any meeting for the fee of $1. It was decided that the Indianapolis Bonsai Club would be governed by parliamentary authority and organized accordingly with a constitution, By-Laws, Officers, and Board of Directors. Membership was limited to those who expressed a sincere interest in Bonsai and the purposes of the Indianapolis Bonsai Club. At the first meeting of the Indianapolis Bonsai Club on January 25, 1968, officers were elected and programs planned for the rest of the year. Bev Oliver was elected President. The first IBC Show was held on Thursday, May 23, 1968, at the Glendale Shopping Center Auditorium, in conjunction with having Lynn Perry Alstadt as lecturer and demonstrator. About 75 people attended. The following day, Lynn gave a workshop limited to members only. Our second small show was the program for the Central District of Garden Clubs of Indiana, Inc., held at Broadway Methodist Church on September 13, 1968. With Mrs. Oliver directing, club members gave a demonstration of "instant" Bonsai. The really big "first" was a three day show at Glendale Auditorium by the I.B.C. on September 19, 20, and 21, 1968. The Club presented the "ABC's of Bonsai", with a beautiful exhibit of Bonsai, a Japanese garden, and a tokonama. Free lectures and demonstrations were given at scheduled times on the art and appreciation of Bonsai, basic knowledge, botanical principles, and the care and challenge of Bonsai. The response was so great that the I.B.C. was asked to give another show in 1969. The I.B.C. is a "working" group, so most meetings are a workshop, demonstration, or critique of problem trees, and "business" is left to the Board made up of Officers. We were very fortunate in getting publicity, TV appearances, newspaper articles, etc. We had 24 members in 1969, and Bev Oliver was re-elected President that year. Some of the Club members were fortunate enough to join the Cincinnati Bonsai Society for a John Naka demonstration and workshop in June 1969. Our great show for 1969 was at the Glendale Auditorium on September 18, 19, and 20th. E. Felton Jones from Atlanta, Georgia, lectured and demonstrated. We also had workshops for members and other enthusiasts. Mrs. Louis Nie was Show Chairman. An exhibit with a miniature Japanese garden was planned, and a booth was set up for selling trees, supplies, and containers as a source of revenue for the Club. There was a large work area where the public viewed members actually wiring, pruning, and shaping trees, at all times.